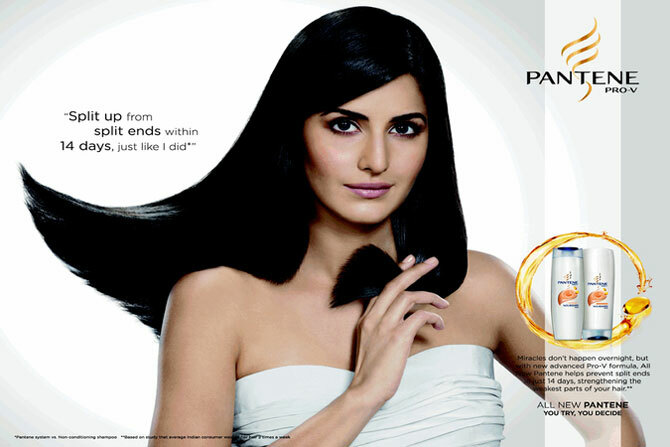 Should celebrities be penalised for faulty products? Recently, reports in leading newspapers about a group of ministers mooting a heavy penalty on celebrities for misguided endorsements, thereby holding them liable, has set the proverbial cat among the pigeons. People, who I never expected to hear an opinion from, all had an opinion. “Celebrities are liable; they get such fat fees.” “No, no, the clients are liable, they make the real moolah.” “But what about the agencies that actually create the myth?” Opinions flew thick and fast… and then lunch got over and they all went back to chasing their tasks. The debate, however, is far from over. Celebrity endorsements are becoming an everyday discussion point between clients and agencies what with the clutter of advertising and a plethora of undifferentiated products. How does one engage with one’s consumer especially when you are the last in line and have really nothing different to offer? A celebrity endorsement can be a short-cut to delivering a message that otherwise may have gone unnoticed. So, is celebrity endorsement (or, as some prefer to call it, brand ambassadorship) as simple as that – a popular face telling a story? Not really. Like Ranveer Singh and Alia Bhatt in the latest Makemytrip commercials. In every ad they have a different role, therefore they are clearly actors rather than endorsers. The message at the end of the ad comes through a voice-over and even that is not delivered by the actors. Or take the old favourite Aamir Khan commercials for Coca-Cola? Interesting argument, but really a technical one since television commercials are created for commerce and not for entertainment. By participating in brand commercials, celebrities are party to “selling the brand message” rather than simply and purely being entertainers. No matter whether they play themselves or play out a role written for them. One, a celebrity endorses a mass distributed popular food product that has been in the market for years but reports emerge later that insects were found in some packets. Is the celebrity liable? Two, a celebrity known for her beauty endorses a beauty product that promises “never before” results. Later it is revealed that the product had harmful side effects and is withdrawn. Is the celebrity liable? Before we espouse an opinion about whether the celebrity is liable or not it would be pertinent to identify the problem. In the first instance the problem is in manufacturing/factory hygiene and no amount of due diligence can enable a celebrity to ensure that this kind of problem cannot and will not happen. In the second instance, the problem is more serious: the product has probably not been tested enough and its side effects have surfaced after prolonged use. One can safely say that in the first instance the celebrity is really not liable, but in the second case she clearly is. Again, not so simple. How can a celebrity test a product over time? They have to rely on testing evidence which, by the way, must have been sufficient for the regulatory authorities to grant permission to produce and sell the product in the first place. How then can a celebrity be held liable? I am not driving towards a conclusion that celebrities are not liable. Certainly not. I believe they are. However, I believe the subject is not so simple and cannot be sorted out merely by imposing a fine on the celebrity. For too long our governments have been more active about penalising than on regulating. Lax or non-existent regulation results in consumers being cheated. Across the world, authorities believe celebrities influence choices and therefore, should be held liable if they influence consumers into making harmful choices. Experience with the product, usage over a period of time, not endorsing certain kinds of products are among the many “guidelines” used by developed countries to guide celebrities in their endorsement journey. If flouted, the celebrities in question are held liable and penalised – in Japan, for instance, they are made to apologise publicly, something that can ruin their reputation – thus deterring them from making claims without validation. It is unfair to create an environment where celebrities refuse to endorse a product. The so-called “celebrity’ status doesn’t last long and celebrities have the right to monetise the fame they have been able to earn. But in this monetisation of fame they must be cautious that the responsibility of protecting that fame rests on their own shoulders. As we discuss the “liability” of celebrities, we must also discuss some “guidelines” for them. How can one work in an environment where there is a threat of penalty but no guidelines to follow? Only if the guidelines are flouted must the penalties come into action. The government must engage with the advertising fraternity, clients, subject experts to formulate a set of guidelines for celebrities to follow. That is a difficult task – it means studying, discussing, debating, driving consensus. It is much simpler to penalise the celebrity – they are making too much money anyway… aren’t they?